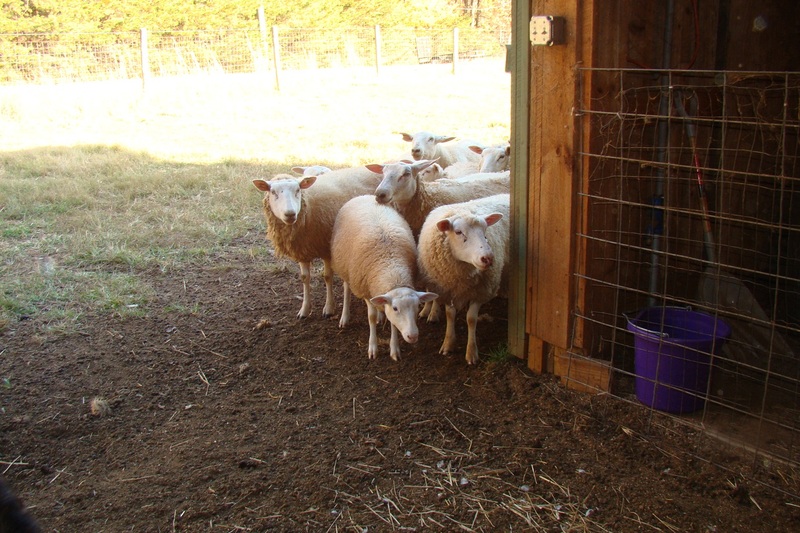 Our sheep tentatively peek into the barn looking for Jack. They think they’d like to come in, but not if he’s around. So cute they’re peeping in. (Sheep who peep! ) Poor Jack has a bad rep with the sheep. Thanks Helen, I believe he’s earned his reputation! So cute. That is kind of what happens here if Nine the cat is on the prowl. “Nine the cat” is a great name! Nine was the 9th cat in the zoo, though we are down to 5 now. Very cute! Reminds me of ‘Babe”.